This Clover 3159 Wonder Clips package is the latest put up size for these O-So-Popular little clips. This package contains 100 clips that have great holding capacity for many Crafts. They have wide openings, a flat base and a guide scale. 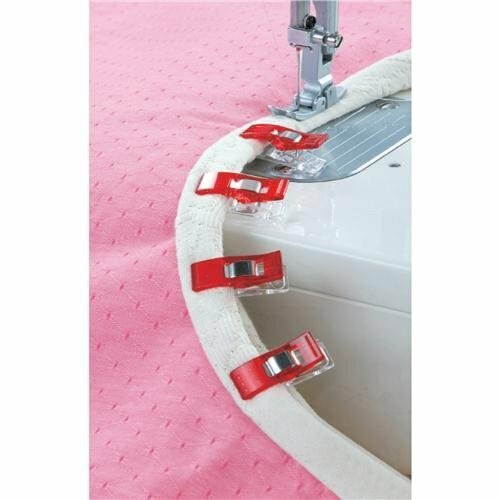 They will hold several layers of fabrics and are a great alternative to pins, especially when working with vinyl’s, piles and heavy weight fabrics. The clip has calibration marks on the base at 3/16″, 1/4″ and 3/8″. The total depth of the throat of the clip is 1/2″. The clip itself is 3/8″ wide and 1″ length. 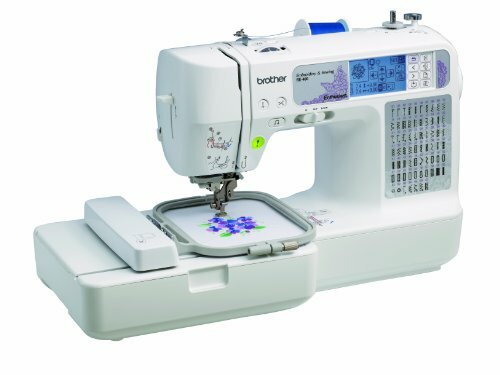 Since their introduction primarily for seam binding on quilts, they have been adopted by crafters, beaders, scrapbookers, card makers and every craft where a third hand is needed to hold some something down, together or in place. They make a great gift for any crafter or home sewer.